Car Loans For Students With No Credit - 10 Mistakes To Avoid! Car Loans For Students With No Credit – 10 Mistakes To Avoid! 1. Financing Through a Dealership- Car loans for students offered through a car dealer will usually include higher interest rates, a significant dealer mark up, and other hidden factors and costs that make this move a big mistake. 2. Paying High Interest Rates- Even the best car loans with bad credit will be higher than financing for an individual with great credit, but some loans have a rate that is exorbitant. Compare rates from different lenders before making any final choice. 3. Avoid The Upside Down Factor- Many vehicles cost more once the interest and other finance charges are added, and this can leave the vehicle owner owing more than the car is valued at. 4. Not Calculating the Entire Cost of The Vehicle- Often car loans for students are discussed in monthly payment amount terms, rather than the total cost of a vehicle. When the total cost of several cars is examined it is easier to see which vehicles will have a higher price over the term of the financing. 5. Not Examining All Of The Financing Terms And Conditions- Sometimes the lowest car loan rates may not be the best possible choice if the terms and conditions of the financing are undesirable. It is important to consider all of the loan factors before choosing the right one. 6. Not Using The Internet To Search For Financing- Having insufficient credit history or no credit record does not have to mean a very limited selection of lenders. The Internet has thousands of vehicle lenders willing to work with students that have no credit. 7. Ignoring Your Local Financial Institution for Your Financing Needs- Sometimes the best possible car loans for students come from the local area. If you have a bank account with a financial institution it may be possible to get a better deal on vehicle financing. 8. Choosing Dealer Add Ons- Many dealers try to combine no credit car loans with numerous dealer add ons, which are overpriced and not usually needed. Instead refuse the add ons, and if you must have something installed or added look around for a better deal after you finance the vehicle. 9. Not Negotiating The Final Sales Price- Many car loans for students include an inflated purchase price, because there was no attempt at all to negotiate the final sale price of the vehicle. Dealers have a significant amount of leeway to lower the price, but will not do so if you do not attempt to negotiate. 10. Buying Unnecessary Extended Warranty Plans- Many vehicle poor or no credit loans are combined with extended warranty plans, and these plans are not normally needed or used but can be a big added expense. Used Car Loan Rates - What Lenders Are Not Telling You? 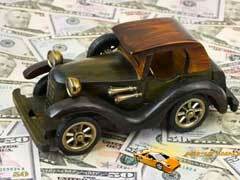 Bankruptcy Car Loans - How To Obtain A Car Loan After Bankruptcy?